All productions have different needs depending on, for example, industry, products and equipment. The common denominator, however, is that every type of production requires high production efficiency. Most manufacturing industries could increase their production by using line balancing, and some industries could also benefit from using accumulation. In this article, I will describe the two methods and how they can help improve production results. First of all, let us sort out the two concepts. A dynamic production flow, or line balancing, is achieved by matching the production of the machines upstream with the machines downstream. 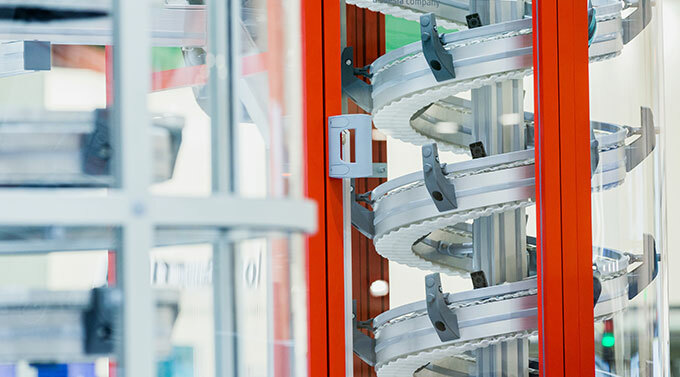 This results in a dynamic production flow where the machines manufacturing the products work at the same pace as the machines packaging the products. An accumulated production flow, on the other hand, means that you feed the production line with products in a higher pace than you package them. This leads to an accumulation of products on the production line. Worth mentioning is that a production line that uses accumulation can still attain line balancing, which regulates the speed of the machines and creates an even production flow. A dynamic production flow has a positive impact on the production with a high return on the investment. To accomplish a dynamic production flow, the actual production rate needs to be known either by information from machines or measured by additional sensors so that machines upstream and downstream can share this data. This allows the machines to adapt to each other’s production pace and keep the production going. Since a dynamic flow reduces the number of times the equipment must be stopped and restarted, the method generally contributes to increased productivity and reduced wear on the equipment. The best effect of a dynamic production flow is shown in industries that produce at least 100 products per minute, such as the industry of fast moving consumer goods. Vertical spiral that saves floor space. Divert the products to several downstream machines. 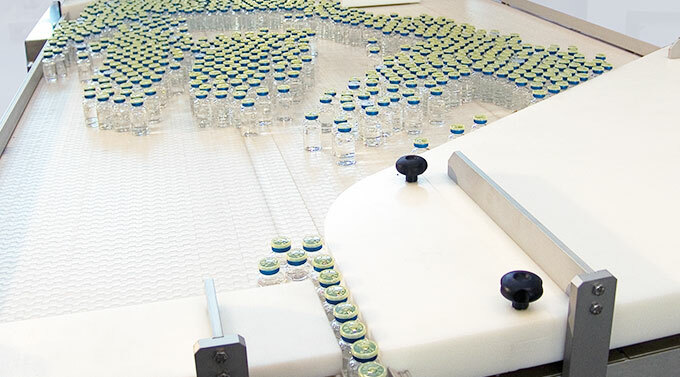 In some production, the manufacturing machines operate faster than the packaging machines. In order to allow the manufacturing machines to run at full capacity, an accumulated production flow can be a good solution. 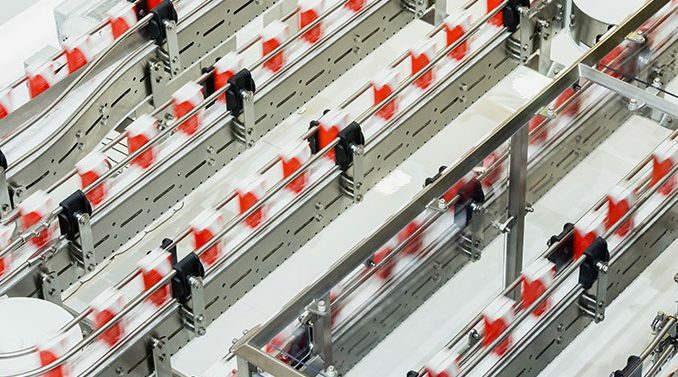 An accumulated production flow can also allow the manufacturing machine to continue to produce products even if the packaging machine needs to be stopped. Some machines are difficult to stop and it could take a while before they are up and running again at the same speed they had prior to the stop. Thus, an accumulated production flow can increase efficiency and ensure that all machines in the production line operate at full capacity. 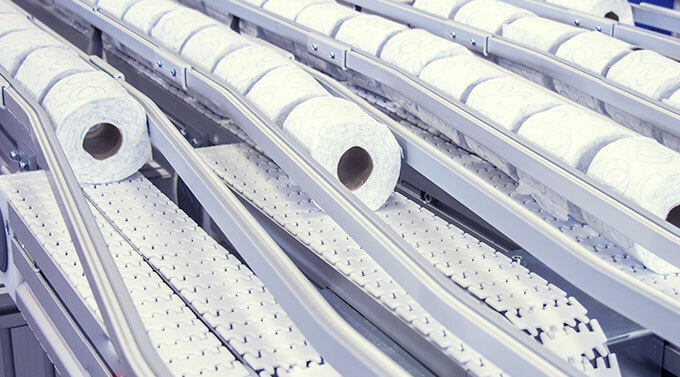 There are different ways to accumulate products in a production line. For example, the products can be accumulated on an accumulation table or they can be diverted to a vertical spiral that saves floor space. You can also divert the products to several downstream machines to avoid stopping the producing machine. Generally, the packaging material is becoming both lighter and more fragile. Therefore, there is an increasing need to create a dynamic production flow since it is gentle towards the products by reduced back-pressure. Also, a dynamic production flow is a sustainable solution since the speed of the production line never goes faster than necessary. This is due to optimizing speed of the production line results in less energy consumption, which is good for both the cost of energy and the environment. FlexLink offers several solutions that create both accumulated and dynamic production flows. As the natural link between all the processes and machines on the production line, we adjust the production flow according to specific needs, industries and products. We have extensive experience from many different industries and are well aware of how dynamic production flows and accumulated production flows can improve production processes. Put us to the test and we will prove it to you! We want to know your thoughts about accumulated production flows and dynamic production flows. Please comment on the article below or interact with us on social media. Also, feel free to visit our website where you can read more about FlexLink and our balancing solutions for aluminum or stainless steel conveyors. 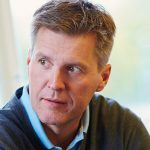 Marko Salmi is a System Architect & Engineering, he started working at FlexLink in 1987. Thanks, Benjamin, happy to hear you appreciate the article. We hope you will continue reading the blog!